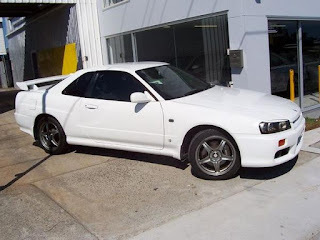 The 1999 Nissan Skyline R34 GT-T was not approved for Show or Display. A GT-T is a pretty common version of the Nissan Skyline, so it does not fit into historical or technological significance. Also, 8565 cars made in 1999, so not even close to the 500 maximum for Show or Display requirements. Just because you want it, and its not available in the US, does not mean that it fits into Show or Display. If you are looking for a Nissan Skyline GT-R that you can import under Show or Display, then the NISMO version of the R32 GT-R is the car. 1998-2001 Turbo Model also available in non turbo model (GT) Standard features include 2.5lt NEO 6 Engine, Limited slip differential, Xenon headlights, Rear window wiper, Driver airbag, Front passenger airbag, 17" alloy wheels, Anti-lock braking system, Traction control, Front seat belt pre-tensioners, Front seat belt force limiters, Rear seat lap sash belt, Child seat attachment, Side impact protection bars, Power windows, Central door locking, Steering wheel height adjust, Leather steering wheel, Alloy wheels and Ultraviolet reducing glass. Optional features include Front fog lamps, Rear fog lamps, Front spoiler, Rear spoiler, Side airbags, Navigation system, Tinted windows, Sunroof. It came in a 2 door coupe or a 4 door 'x' variant. 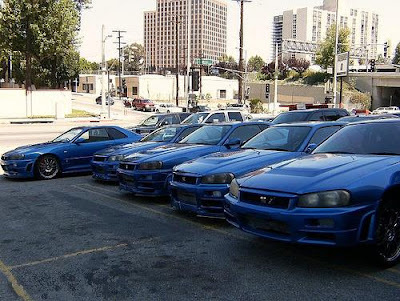 Which is the real GT-R?